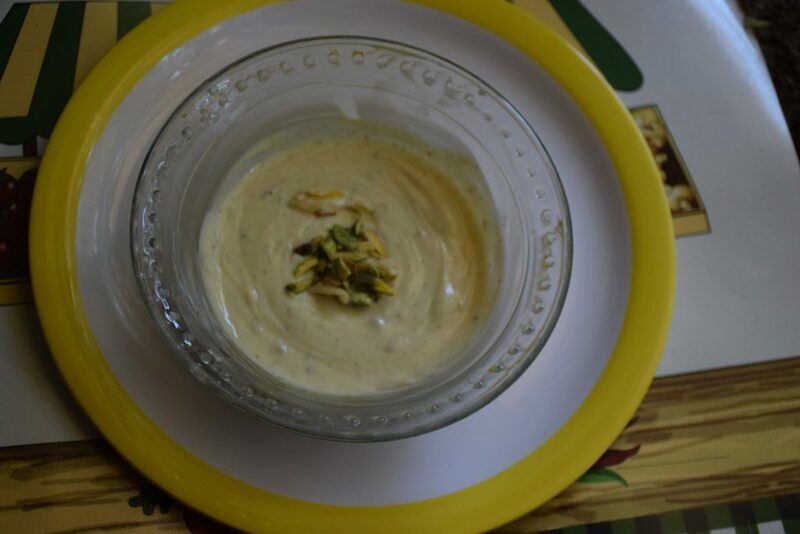 “Shrikhand” – a dairy product , Lord Krishna’s favorite sweet after “Maakhan” (butter) is now famous all over the world. 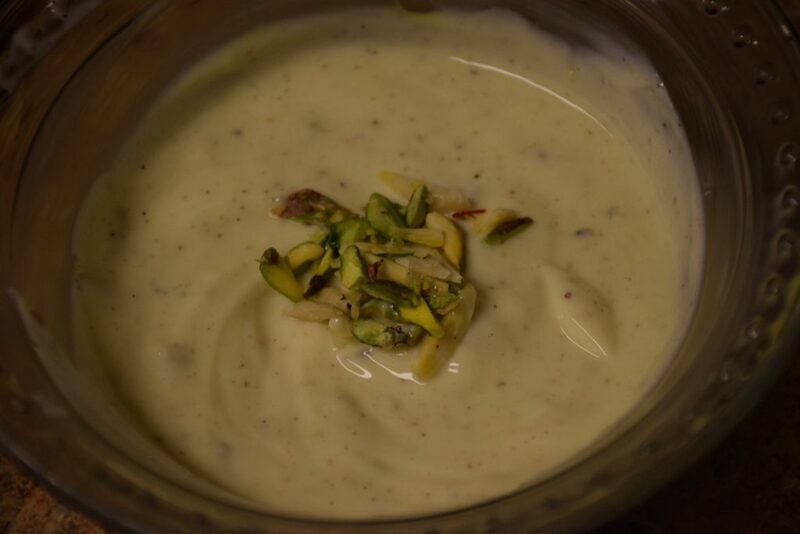 Its simplicity, sweetness, creaminess will tempt you to make it again and again. i.e. 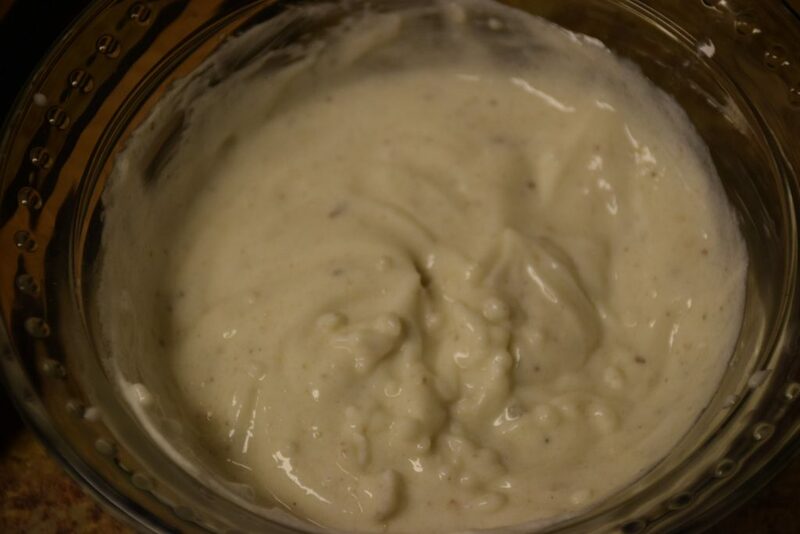 , the strained yogurt or curd or Greek yogurt. Recently, I came to know , that curd or yogurt could be set at home without a starter(jamun) too. Yes, simply add a green chilly’s stalk (danthal) to the lukewarm milk while keeping it in a warm place overnight. It will culture the milk and form a thick set curd or yogurt the next day. 1. Take a big strainer or colander. Line it with a muslin cloth. 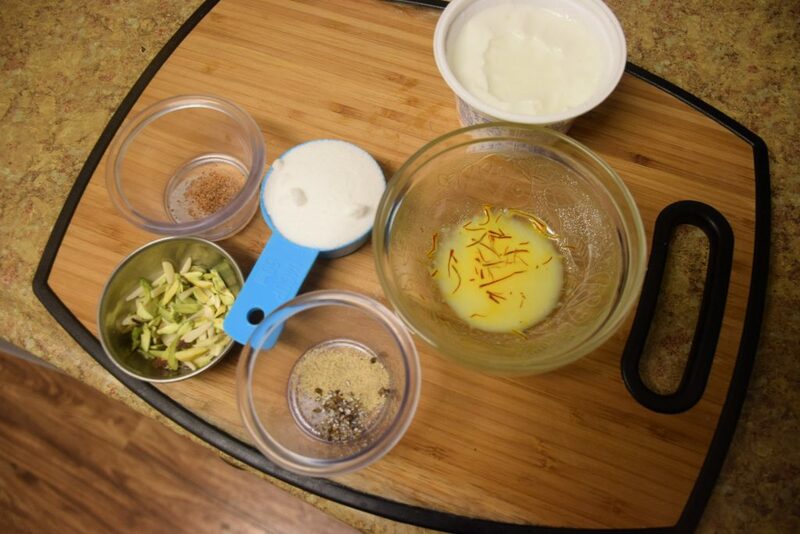 Pour your home-made yogurt over it. From 2 cups of yogurt, we get almost 1/2 cup of strained yogurt. Bring all the ends together of the cloth and tie it on the tap of the sink or keep it in the strainer over a container. So that the whey that drips off consistently will be collected in the bowl below. For more details check this : “Recipe”. This would take 4-5 hours or overnight. 2. 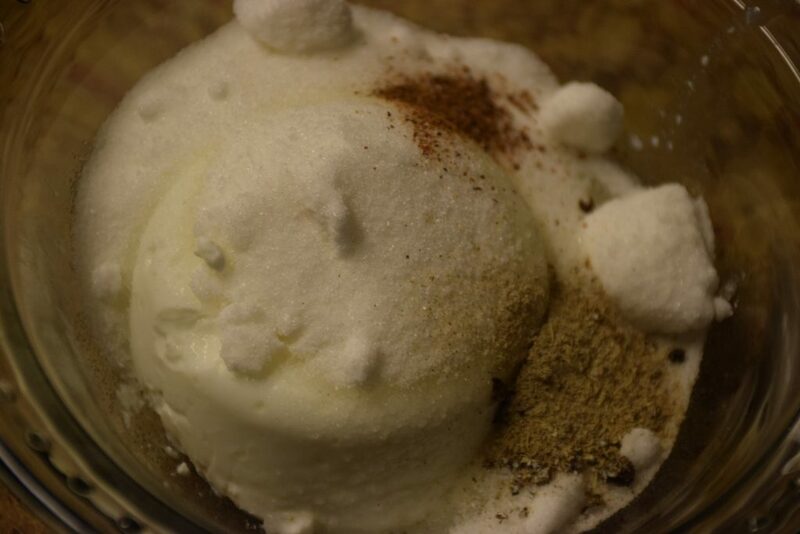 I however, used, the store bought Greek yogurt. 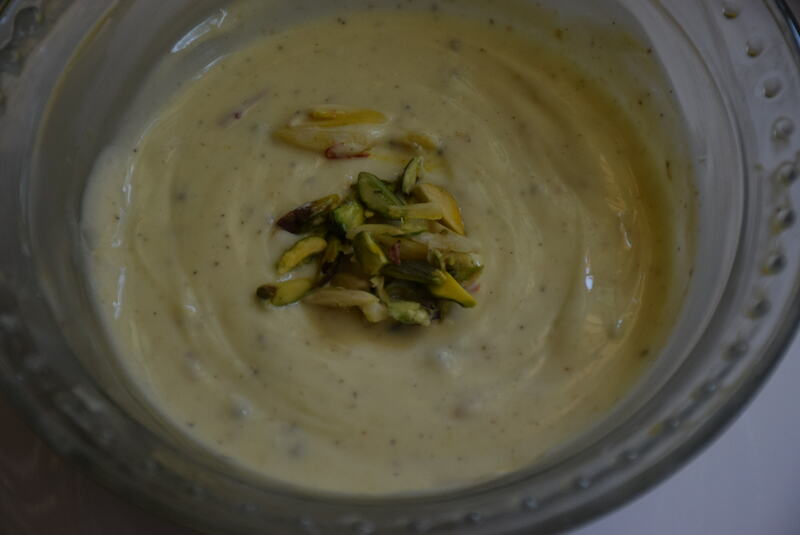 Just add the yogurt, sugar, cardamom and nutmeg in a mixing bowl and mix it with a whisk to form an even texture. 3. 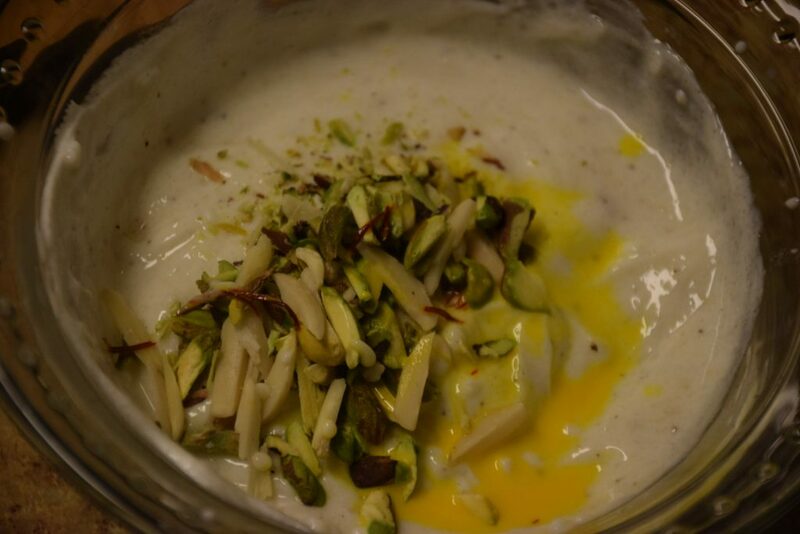 Add the soaked saffron (in 1 tbsp lukewarm milk for 5 mins) to this mixture. Add half of the nuts and save some for garnishing. 4. Garnish with nuts and serve. You may refrigerate it for 2 days and devour it anytime. Enjoy the summers and share your experience with me in the comments below! Till then keep mixing .. 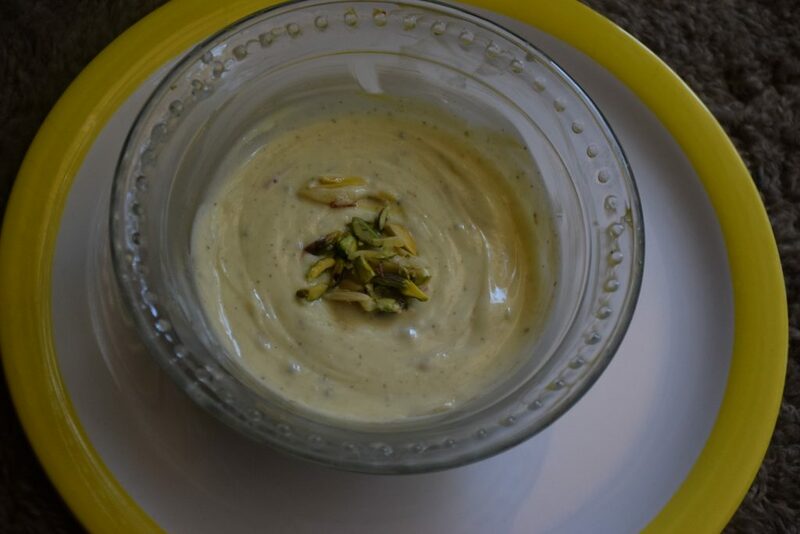 This entry was posted in Appetizers, Desserts, Diwali Delicacies, Food, Recipes and tagged almonds, Amul Dairy, badam, cardamom, Carenshare, cheeni, Dairy product, Elaichi, fresh yogurt, Greek yogurt, gujarati, home-made curd, jaifal, jaiphal, kesar, Krishna's favorite, Maharashtiran, milk, nutmeg, pista, pistachios, prasad, saffron strands, Saras dairy, shweta jindal, strained yogurt, sugar, zindagisikhati.